Tango Porteño Buenos Aires, the largest tango show in town presents its new Tango show "Bailando Tango" (Dancing Tango) where it combines the best traditional Tango with an unrivaled display of music hall and Stage Tango. FREE OPTIONAL TANGO LESSON FOR ANY DINNER TICKET!! *Get this special rate and free round transfer to the place instead of the standard free round transfer! Ask terms and conditions. Hurry up! Limited seats! Traditional Argentine turnovers (empanadas) filled with knife-cut beef. Onion and challot cream soup. Grilled Angus baby with a side of rustic potatoes. Assortment of traditional Porteño desserts. “Nice show, we took advantage of the free tango lessons, we got fun and we also dance, we really enjoyed a nice time there, the dinner was excellent! Empanadas (local meat pie) of knife cut beef with green olives. Rolls or ham with cheese cubes with a bouquette of ciboulette with green and potatoes with mustard cream. Grilled chorizo beef (iconic Argentinean beef) with rustic potatoes, cherry tomatoes and provolone cheese. Chicken breast filled with bacon and arugula, with caramelized sweet potatoes, greens and lime with rosemary seasoning. Bondiola (Baked pork cut) with grilled potatoes and cherry tomatoes, red pepper and provolone cheese. Fetuccinnis at Italian style with basil cream, joined with eggplant, pepper and chestnuts. Sampling of typical Porteño desserts: Home made flan with dulce de leche, duo of cuartirolo cheese and sweet potato jam, gelato of dulce de leche with crusty cacao and dry oranges. Bitter chocolate mousse with rice with milk and praline. Tango Porteno Buenos Aires, The largest tango house in Buenos Aires is located meters from the famous Porteño Obelisk and is an icon of Tango Porteño. The new show called "Bailando Tango" (Dancing Tango) makes a very balanced combination of traditional Tango and stage Tango, in which takes advantage of the huge stage space to set up a show with a Buenos Aires Music Hall style. With a choreography by the internationally recognized Mora Godoy, the new Tango show of Tango Porteño Buenos Aires ventures successfully into traditional Tango, a style that Godoy manages with the same ease with which he manages the stage Tango that consecrated her. The essence of the show consists on the balance of both styles with a series of stories that instead of being strung together aim to reflect the human feelings; mainly love, passion and jealousy, with touches of humor and a lot of sensuality. 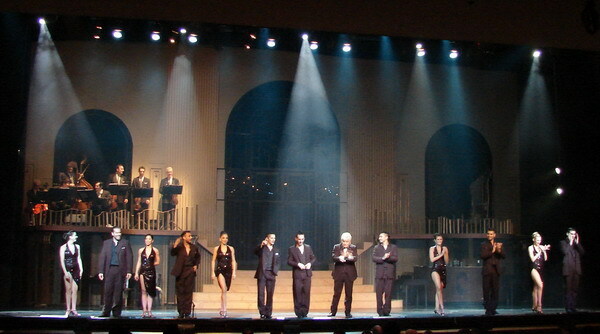 The show takes advantage of a generous stage in two levels that allows the elevated orchestra to be located up, in order to develop the dance on a stage that is by far the largest in the city. The singer and the main dancers also take advantage of the vast staircase that allows them to move in both planes and make impressive entries on stage. Both styles of Tango are seen in duets and group dances at Tango Porteño Buenos Aires. The focus of the duets is essentially sensuality and passion, sometimes the duet grows into a trio to stage the jealousy, so present in Tango. The group choreographies incorporate humor without abandoning sensuality. They do not bet on forced symmetry but on showing different dances and figures at the same time. The beauty of the dancers is to be highlighted, the women who are tango and “morochas” (brunettes) in the best tango style and the men with the corpulence and virility of the "malevo", a classic tango character. The orchestra is a septet that comfortably handles all the styles of Tango in the repertoire. 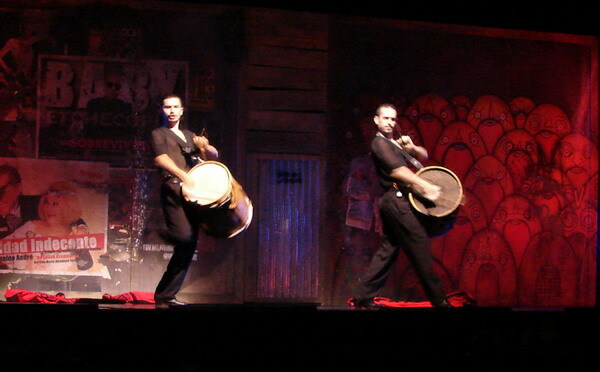 The Show of Tango Porteno Buenos Aires is one of the few that incorporates a gaucho show, where you can see the main skills with malambo footwork, boleadoras and bombo (boleadoras is an old aboriginal weapon, bombo is a big drum). The menu of Tango Porteño Buenos Aires is generous and has three steps, among which the bife de chorizo (The star of the Argentinean beef), the bondiola (pork cut), the asparagus soup and tasting of typical desserts stand out. Tango Porteño Buenos Aires, the Tango beats in the center of the city.